This is a great dish. 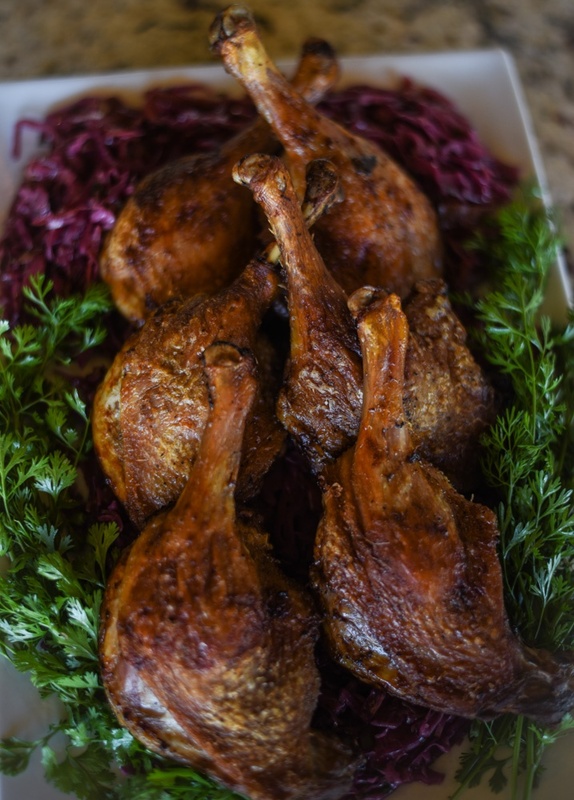 Duck is rich and succulent, while the slaw is bright and crisp. It’s a great example of the yin and yang mindset of Asian cuisine. The added bonus is also that you also get some delicious duck fat to keep and cook with. Simply put it in a mason jar, slap a lid on it, label, date and refrigerate then use as needed for roasted potatoes (OMG! ), scrambled potatoes or substitute it into a savory pie dough for the Crisco/lard). Mix all of the slaw ingredients together and allow to marinate for flavors to develop. When duck has sat for a day, remove from the fridge. Get a saute pan large enough to hold all the duck legs and put it on over medium-low heat. Add just a little bit of oil to coat the pan. 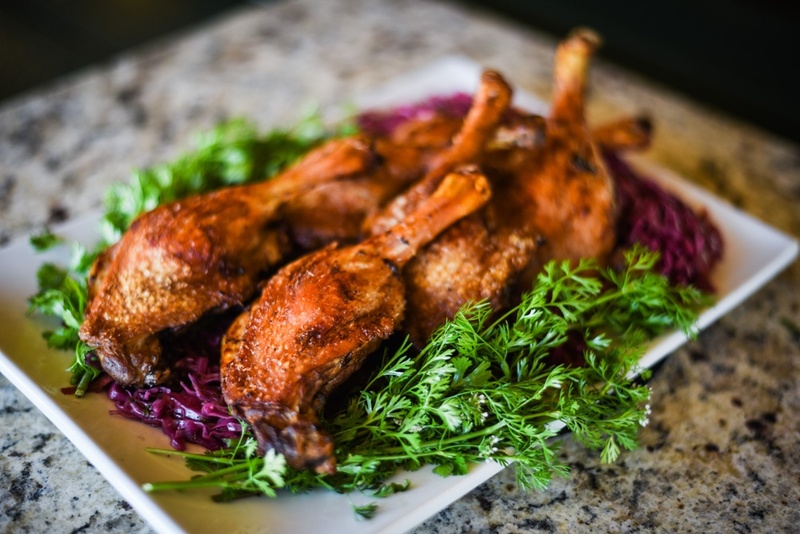 Place duck legs skin side down and begin to cook over low heat. Begin to render out the duck fat. Once the legs are well browned (after about 15-20 minutes) turn over and begin to meat side down. Slowly cook in rendered fat until meat begins to pull away from the bone (approximately 15 minutes). Serve legs over or alongside the Asian slaw and enjoy!